"Close to all the best that Florida offers"
Both Jennifer and I are native Floridians and from 4 and 5 generation Floridian families respectively. Our daughters Evie and Ellie and son Eston now all 6 generation Floridians. Probably not a long time in some parts of the country, but that's a long time down here. Jennifer was born and raised in Ormond Beach, FL, while I'm from Lakeland, FL. 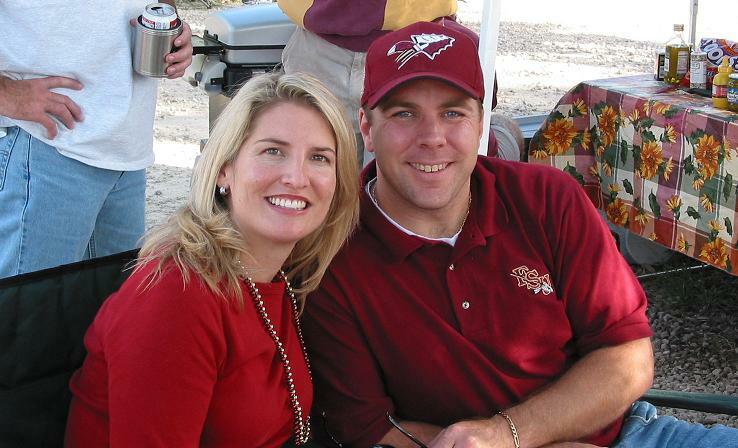 Jennifer and I met while attending Florida State University, GO NOLES!! !, and we now live and work near Orlando, FL. We love everything about our state; its natural beauty, it's heritage and and all of its sunshine. It is our pleasure to give you a chance to experience a little bit of what we experience every day. Please join us for a relaxing get away at the beach and see everything that Florida has to offer. We look forward to hosting you and your family very soon,. We would love to host you and your family, so please contact us by either eMail or Phone.